Flight Environment fans rejoice! Flight Environment returns with an all new version for Flight Simulator X. The new Xenvision technology creates beautifully rendered clouds, sky themes, water themes, and revolutionary control of your environment, all in stunning high-definition detail. The Flight1 WAAS/Obstacle Update 1705 contains WAAS OBS data, that is current as of May 2017, for our Flight1 G1000 avionics systems aircraft: Citation Mustang, KingAir B200, and the 182. The update is compatible for aircraft used in Flight Simulator X Boxed and Steam editions, as well as Prepar3d V2 and V3. With over a decade in development time and product cycles, the Ultimate Traffic series has been the top AI Traffic solution for who are looking for the most complete and realistic real-world airline AI flights worldwide. Ultimate Traffic Live is the latest edition in the award-winning series and has been developed to provide new experiences on Flight Simulator X, Flight Simulator X Steam Edition, and including native support for Lockheed Martin Prepar3D versions 3 and 4. FS Effects is a unique add-on for FSX, FSX Steam Edition, Prepar3Dv3, and Prepar3Dv4 that provides a more realistic flight experience. FS Effects, originally released as 'FS Stall Effects', was designed to add visual and aural sensations for pre-stall buffets, high speed buffets, and piston engine vibrations. With the addition of enhanced throttle response controls for turboprop and turbojet aircraft and a battery life extender in the Version 1.02 update, the program name has been shortened to just 'FS Effects'. EZdok Camera 2 adds amazing visual effects to your simulator. EZdok's manager that enhances view control in your flight simulator and provides more convenient navigation over the virtual cockpit, around the aircraft, and around the Flight Simulator world. Two years of research and development using a 'outside the box' approach to scenery design has produced a revolutionary scenery development system whereby high performance and low resource consumption is the standard. XpressSim products do not consume resources like scenery products of the past. All XpressSim products will be priced at a very affordable range of $1.99 to $5.99 per product. The GNS Complete series brings you many products in one! You get BOTH the GNS 430 and 530 products that used to be sold separately. You also get FSX/FSX Steam, Prepar3D v3 and Prepar3d v4 versions included in this package. The real-world GTN series 750 and 650 gauges feature fully integrated GPS, NAV, COM, and MFD functions for all your General Aviation aircraft needs. 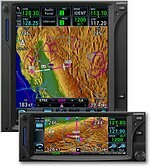 The large screen and intuitive graphical touchscreen interface give you quick and easy access to terrain mapping, graphical flight planning, charts, traffic display and much more. Flight One Software is proud to bring you the next generation in desktop avionics to your favorite add-on aircraft. 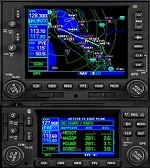 The iFly 737NG is one of the most popular addons available for Flight Simulator. Now you can enjoy your FS2Crew airline crew simulation and the iFly 737NG together in a P3D 64 bit environment! This product includes Voice and Button Control. Deciding where to fly next is made easy with Flight1's latest utility. Generate random flights or continue from where you left any aircraft parked at the click of a button. Now compatible with Prepar3D version 2.x and 3.x. Deciding where to fly next is made easy with Flight1's latest utility. Generate random flights or continue from where you left any aircraft parked at the click of a button. Now compatible with Prepar3D version 4.x.